5- Any other log-in info and settings you used on your Samsung Galaxy S Duos. 1- Make sure that your Samsung Galaxy S Duos is Off, If not, Then turn it off (Press and hold the Power key, and then tap Power off). And remove the Memory card from it. – Press and hold Volume Up + Volume Down + Home Keys, Then press Power Key. – Keep pressing the above keys until Samsung logo appears,Then release all keys. – Wait until you are into Factory reset / System Recovery menu. – Use Volume Down key to scroll down and select Wipe Data / Factory Reset option. – Use Power button to confirm the operation. – You need to use the Volume Down key again to select “Yes — delete all user data“. – Use Power button to confirm the operation one more time. 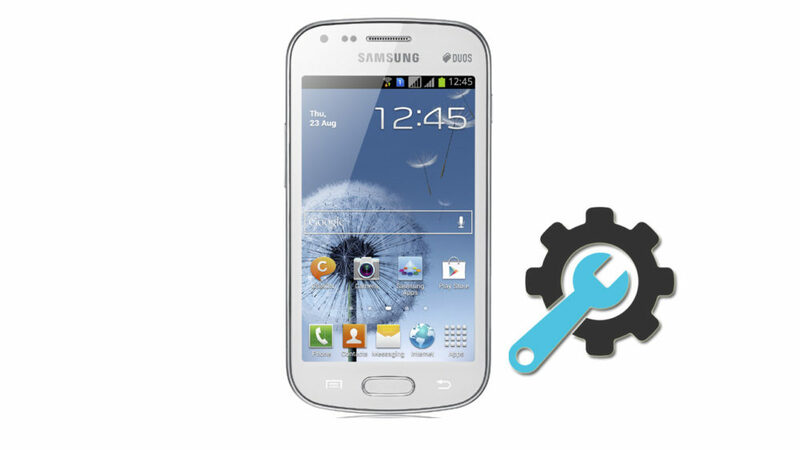 – After performing the hard reset, Select Reboot System Now option, And confirm it using Power button. 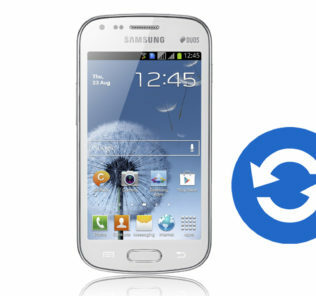 11- Now your Galaxy S Duos GT-S7562 will reboot, Wait for it to be fully on and then you can start using it. Select your preferred device language, And follow the on-screen instructions to proceed the initial setup.